younglord thanks for waiting for me. smooth transaction overall! spikedive7911 Nice buyer, good attitude. venustictac great buyer , hassle free . @keluje39 is on Carousell - Follow to stay updated! Mint condition, keeping good time for its age. Rare and highly collectable. Grab it b4 its gone! 🚚 Seiko Scuba Master!!! Super Rare!!! 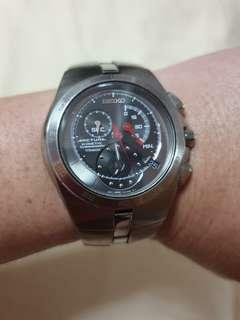 Rare Seiko Limited Edition in like new condition. With original Seiko buckle and rudder strap. Automatic mechanical and keeping good time Bought but used only 2 times. My lost your gain! Any reasonable offer secured. Comes w box n paper! 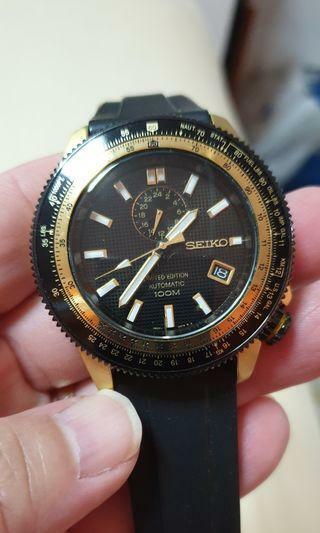 🚚 Seiko Analog Digital Watch!!! Selling Cheap! Analog probably need to boost to work. Selling as it is. Digital working very well! Very presentable watch! Sure eye catcher!!! Any reasonable offer secured. Bought about $900. Super Rare and working very well! 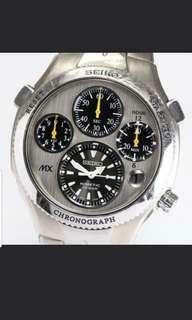 Seiko Complication Watch! Looks like a AP! Highly collectable. ANY reasonable offer secured!!! 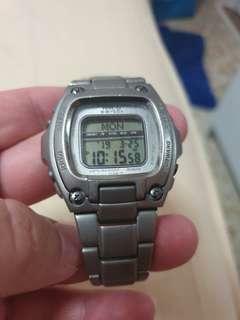 Casio Mr G! Titanium Very Rare!! 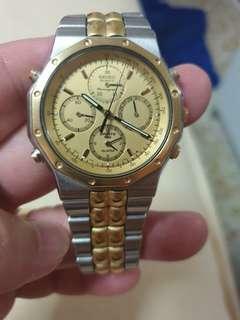 Rare Casio Mr G! Highly sought after and collectable! All function works well and illuminator works well too! Selling at a steal! 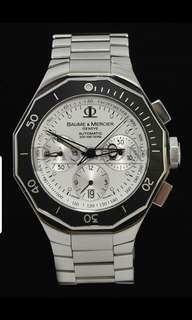 🚚 Baume Mercier Riveria Rare!!! Brand New Vintage! 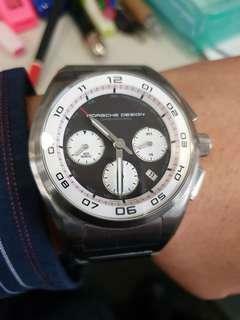 Very Rare Baume Mercier Riveria Chronograph. Brand New condition! Vintage and highly collectable! Full box and paper. My loss your gain! Reasonable secured. 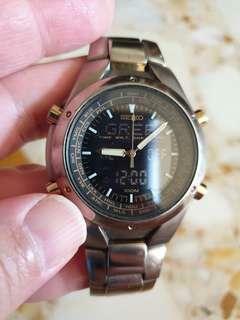 🚚 Seiko MX Super Rare!!! 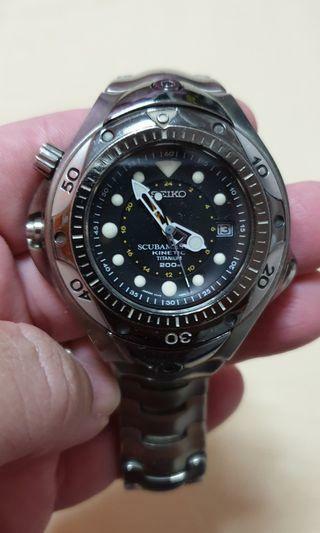 Rare MX Seiko! Highly collectable! Like New! Fu box and paper! Selling Cheap. Listed $5500. Seiko Arctura Titanium!! Very Rare!!! Super Rare Titanium Seiko Arctura! Highly sought for and highly collectable. My loss your Gain! Selling Cheap!!! Porsche Titanium Chrono Dashboard!! Selling Cheap!!! Tissot T-Touch GMT Rare ! Cheap!!! 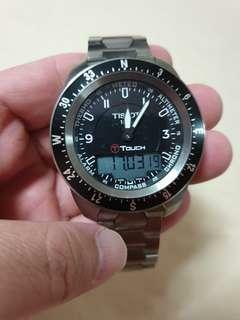 TISSOT T TOUCH COMPASS GMT! CHEAP SALES!!! With box and manual. Feather line scratches. My loss your gain any reasonable offer secured. 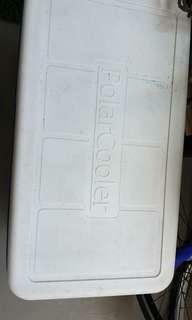 Polar Cooler Box CHEAP SALES!!! Polar Cooler Box Cheap Sales!!! Clearing for space. Can store cold and icy items. For pinuc, fishing trips, BBQ event. Big Size like around 40cm by 23 cm by 28cm.CHEAP CHEAP SALES MUST CLEAR ASAP. 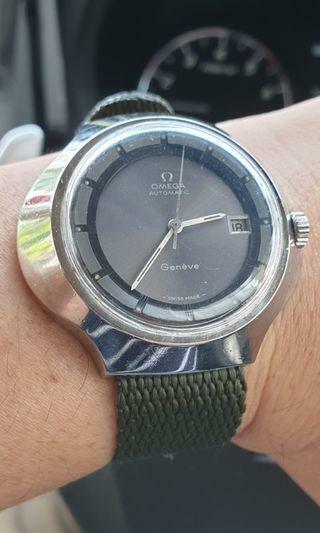 Enicar Sherpa Vintage Watch! Selling Cheap!! Rare Enicar Sherpa Vintage Retro Watch! Selling Cheap!! Brand New Condition!!! Definite eye catcher! Box n paper loss during house cleaning. No deep scratch or dent. My loss your gain! Any reasonable offer secured! Clearing Space for New watches! 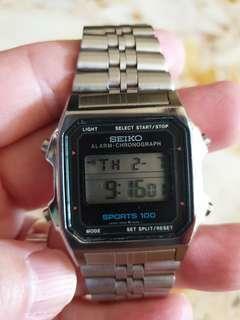 🚚 Seiko Sport 100 Vintage Digital Watch! Cheap Sales!! 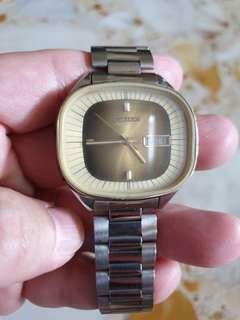 Citizen Vintage Retro Watch Cheap Sales!!! 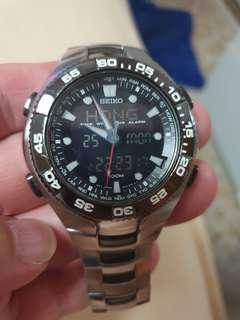 🚚 Seiko JDM Digital Analog Titanium! Cheap Sales!!! 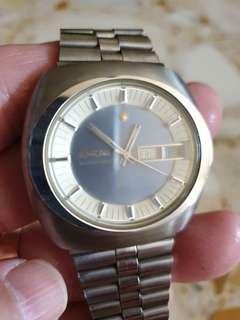 Rare Seiko JDM Digital Analog! In Titanium!! Sold only in Japan!!! All working condition. Box n paper loss during house cleaning. No deep scratch or dent. My loss your gain! Any reasonable offer secured! Clearing Space for New watches! 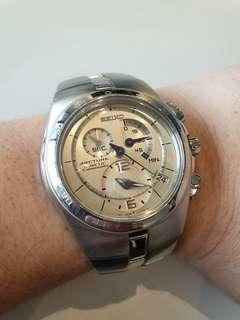 Very mint condition Seiko Arctura Chrono Kinetic for cheap sales. 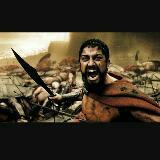 Stainess Steel. Rare and classy Champagne colour glossy dial. Feather line as its used. Bought it afyer discount for $800. Watch only. My loss your gain. Any reasonable price secured. 1st come 1st serve. 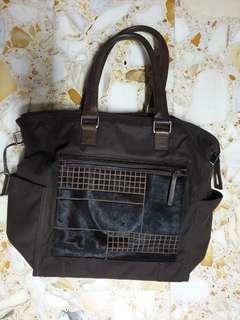 Authentic Calvin Klein bag or briefcase!!! Cheap Sales!!! A large almost new Calvin Klein bag that provides many space for your daily barng barang and still upkeeps the class of your style! Under utilized so letting go cheap to anyone who would used it. 1st come 1st serve. Unisex bag. 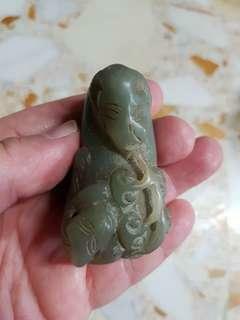 Vintage old highly collectable old China jade. Clearing all my old jade (古玉) collection. My loss your gain! Any reasonable offer secured! 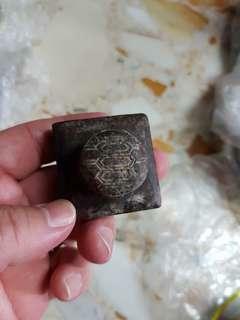 China Old Jade (古玉龟印) Tortise Seal!